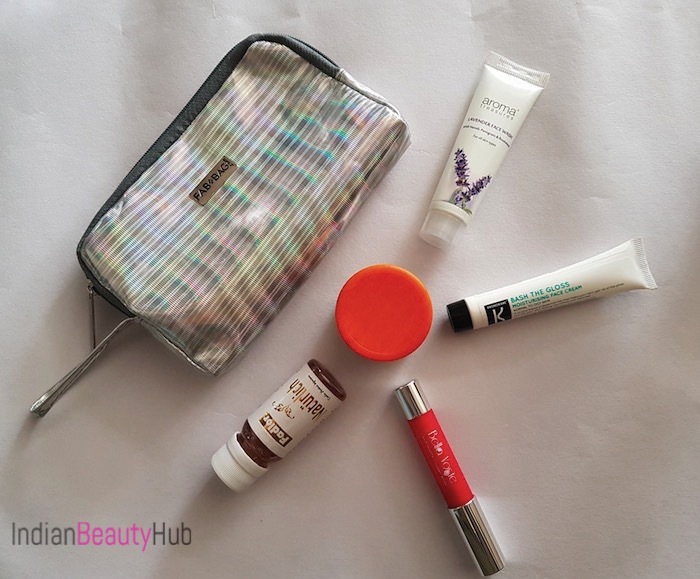 Hello everyone, today I am sharing the products I have received in my “The Hit List” November Fab Bag 2017. 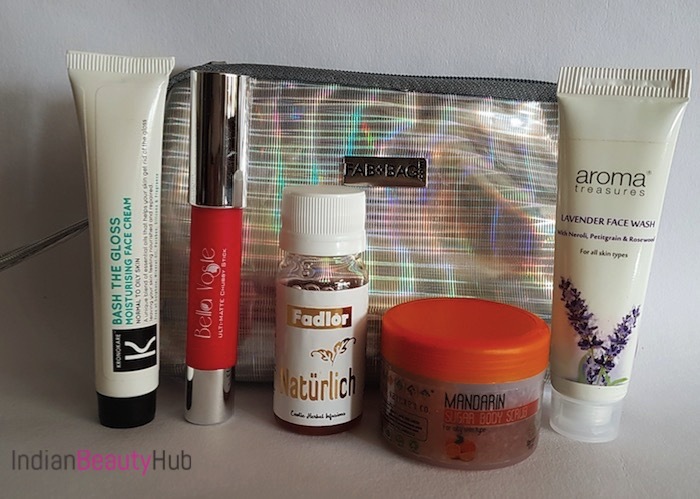 This is my second last Fab Bag of 1 year subscription plan and I found is pretty good. 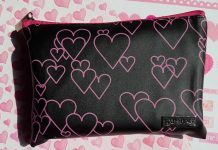 This month’s pouch comes in a shiny silver color with metallic finish. 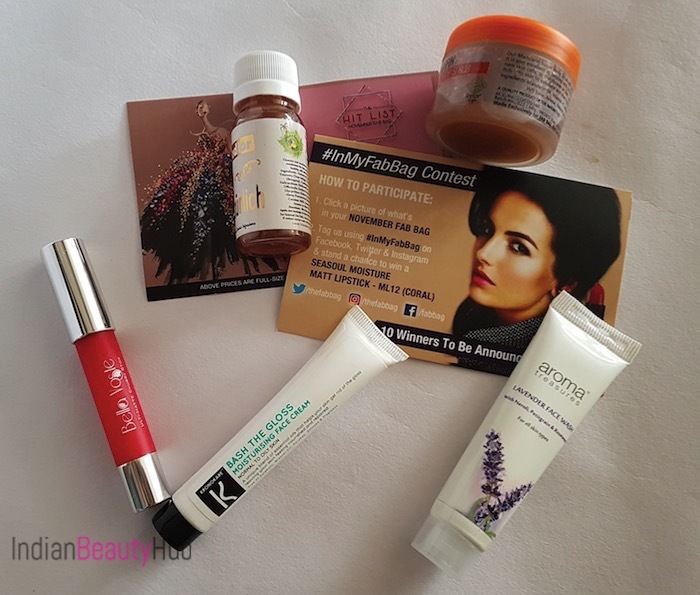 Let’s see what I got #inmyfabbag . 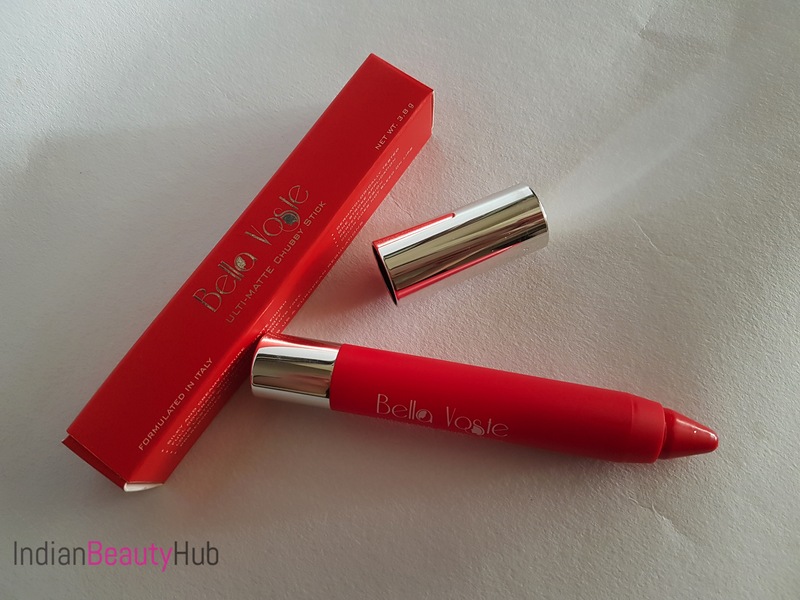 Bella Voste Ulti-Matte Chubby Stick – It was a self chosen product and I chose the shade 02 Cat Fight which is a pretty coral color. 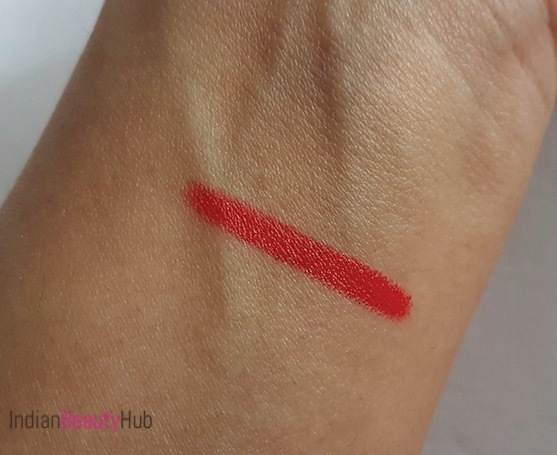 It has good pigmentation and feels very light on the lips. However, I am not very fond of the satiny finish it gives to the lips. Price Rs.499 for 3.8g. 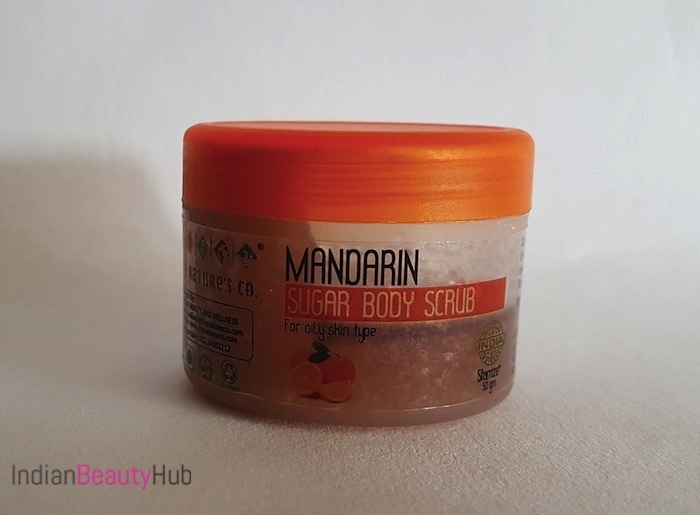 The Nature’s Co Starrize Mandarin Sugar Body Scrub: The November fab bag contains the 50g deluxe size jar of this body scrub. 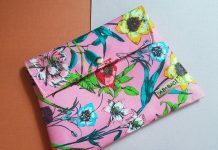 It is infused with natural ingredients and has quite refreshing scent. I will definitely give it a try and will share my views about it. Price – Rs.425 for 50g. 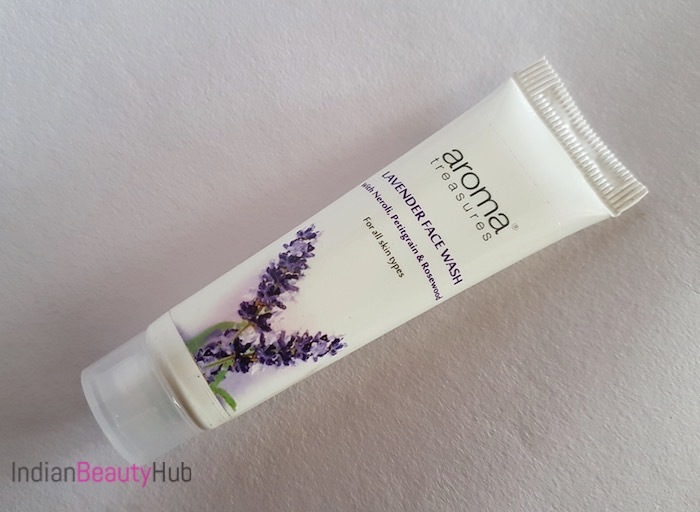 Aroma Treasures Lavender Face Wash: It is a gel-based face cleanser that is infused with the oils of some interesting natural ingredients. It lathers well and cleanses the skin nicely without stretchy feeling. I have tried it for few days and I must say am quite liking it. 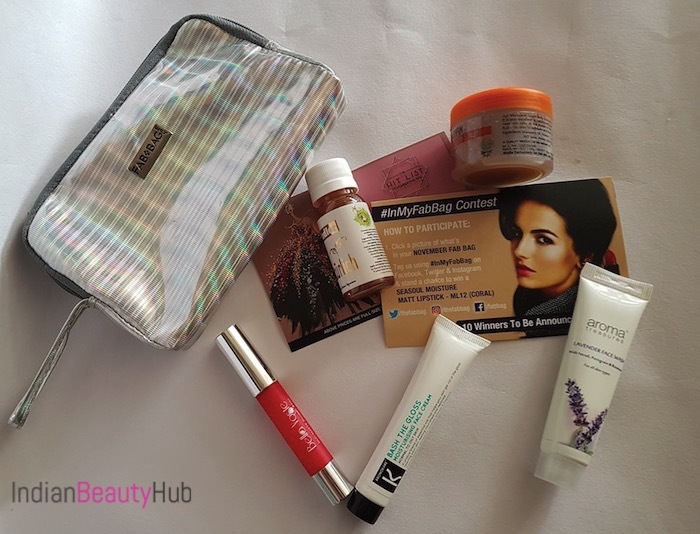 Price – Rs.64 for 30ml. 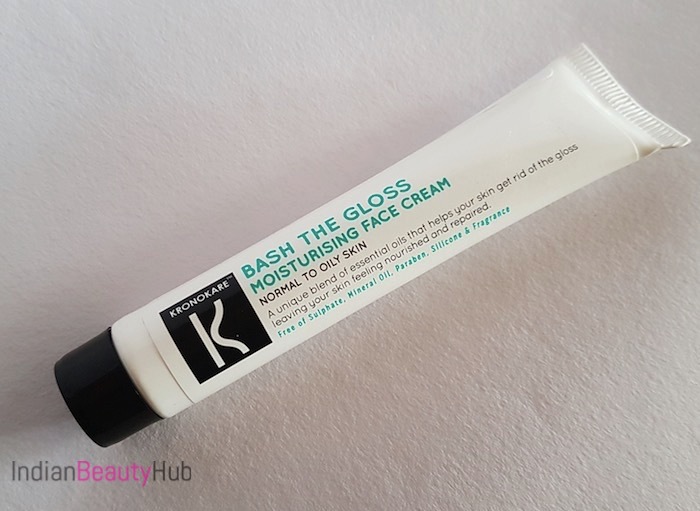 Kronokare Bash The Gloss Moisturising Face Cream: The cream comes in a white color and has a essential oil kind of scent. I did try it a few times and am not very impressed with it. I will continue using it for some time and will share my views about it. I received the 15g tube that will easily last for up to 15 usages. Price – Rs.293 for 15g. 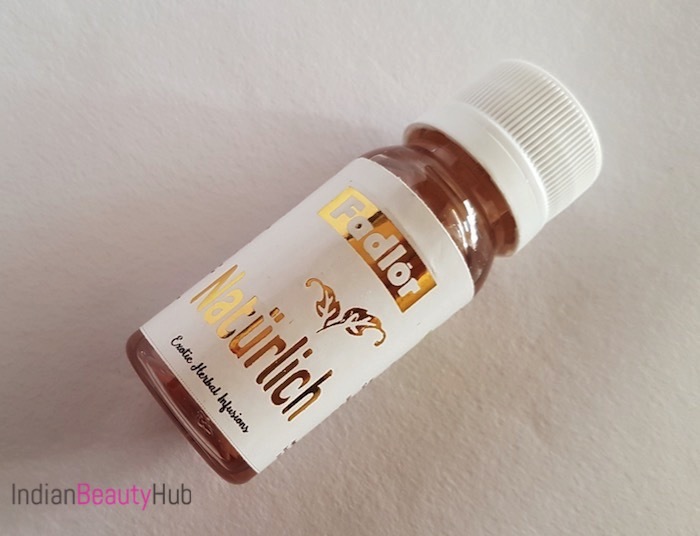 Fadlor Naturalich Exotic Herbal Infusion Shampoo: The last product that came inside the November Fab Bag is this 30ml sample of shampoo. This gel based shampoo is a herbal infusion of some amazing natural ingredients. However, the quantity provided is so less that it will not be enough even for a single hair wash of long hair. Price – Rs.100 for 30ml. 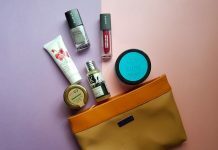 Overall November Fab Bag 2017 is neither a very impressive nor a disappointing one. I am happy with all the products that I have received except the herbal shampoo.